When I began enjoying wine, I’d extend my trips to the store by perusing the wine aisles. Perhaps I’d enjoyed a specific wine and wanted to find out more about the producer. Sometimes it was a new grape. I’d find the section and look at price points, read labels, ask questions. There was one section that intimidated me more than others. And judging from conversations with burgeoning wine lovers, I was not alone. To know what you’re buying when you pick up a bottle of French wine, you need to either be experienced in the region or have spent some time studying. While this can be said for other regions, French wine was especially intimidating for me because the names are at once commonly known and commonly confusing. For most, the labels Burgundy and Bordeaux are familiar. The specific crus and composition may not be. The name Champagne may be thrown around frequently, but ask most drinkers the grapes which may be involved and you’ll frequently get a blank stare. And those are the “big” names in French wine. It wasn’t until I completed my WSET 2 courses that I felt a firmer grip on the subject. Only then could I identify, not only the location, but the expected grapes in lesser-known regions like Chinon or Colmar. 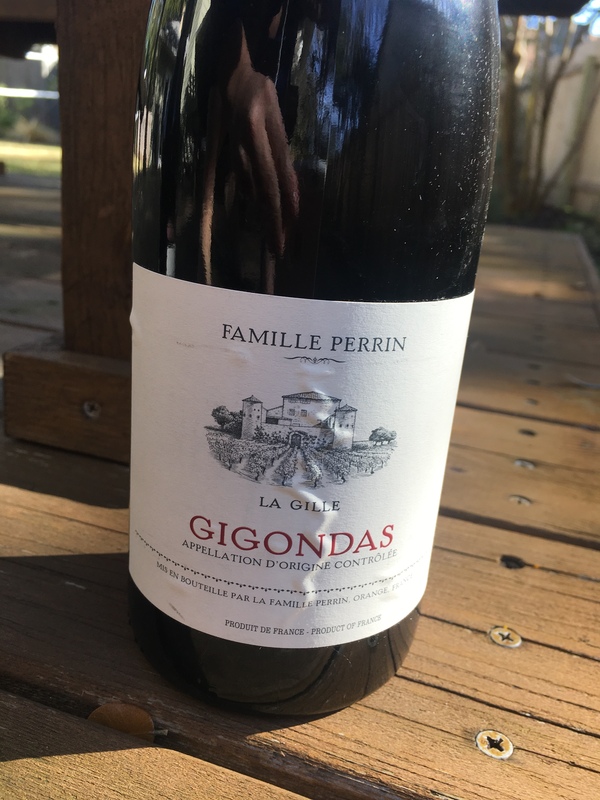 Today I want to look at an appellation in Southern Rhône, Gigondas. The region is predominantly red with a small amount of rosé. You won’t find any white wines from here. While grapes for wine have been grown since the times of Julius Caesar, the area did not become an official AOC until 1971. Gigondas Photo by Rhone Valley Vineyards. Used with Pernission from Teuwen Communications. The topography is dominated by the Dentelles de Montmirail mountains, the name meaning lace of extraordinary mountains. The jagged limestone ridges, varied soils and microclimates, and elevation offer a variety of sites to produce the grapes which need various influences. 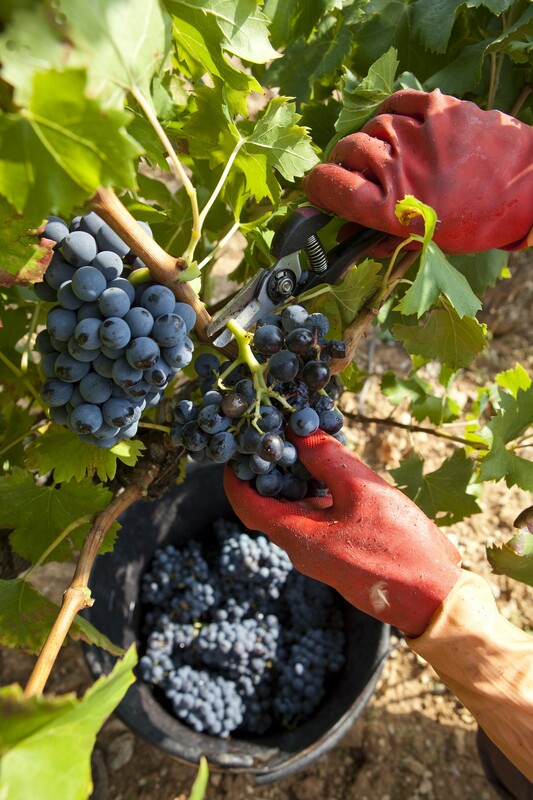 Grenache is the primary grape here and it is grown at a higher altitude, given morning sun. It needs a longer growing season. Mourvedre and Syrah are generally planted at lower regions. 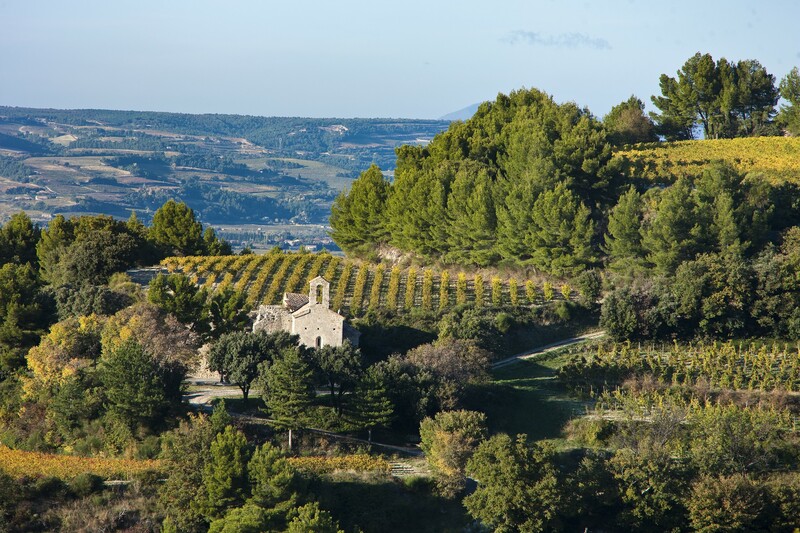 The wines are often compared to the neighboring, more well-known, region of Châteauneuf-du-Pape. Adjectives like rustic and bold are often used to describe these wines due to long maceration times and some stem contact. Expect dark fruit and good minerality from the limestone. Two samples I evaluated over the holidays delivered on those expectations. The wine is 80% Grenache, 20% Syrah. The vineyard is mid-hill, receiving good breezes, and is limestone, calcareous marl, and sandy soil. Fermented in stainless and wooden barrels, aged in foudres and barriques. Medium to full-bodied, integrated tannins. Dried cherries, orange peel, fennel, and spice. Rustic and refined. Guigal Estate was founded in 1946 and has grown considerably since that time. This wine is 70% Grenache, 20% Syrah, and 10% Mourvedre. 40-year-old vines are grown in clay and gravel. The wine spends 2 years in oak, 50% new. Deep in color and fruit, this full-bodied wine boasts of blackberry and cherry, surprisingly soft tannins. 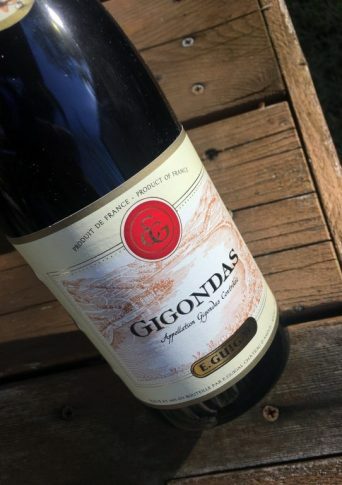 The name Gigondas is derived from the latin, Jocunditas, meaning great pleasure or charm. While the town may have been given the name due to being a recreational area for Roman soldiers, the moniker is still fitting. Indeed, the wines of the region bring great pleasure and are sure to charm you dinner guests or hosts. Many thanks to Teuwen Communications for providing these samples. Ever visited there? Beautiful area. If you ever make it I recommend l’Oustalet for lunch. Dine al fresco with a nice local rose. They typically have a nice prix fixe with some good local fish dishes that pair well with the rose and the shade of the tree over their patio. Sounds lovely! Hope to make it there one day!